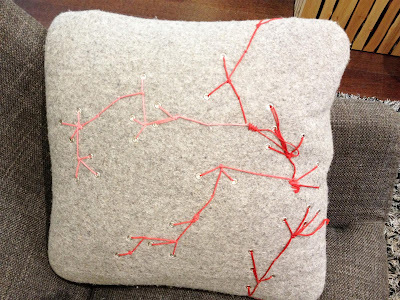 For someone who has not been bitten by the stitching bug, there was something about the random stitching in this felted pillow that really spoke to me. If you're more stitching savvy than I am, maybe you can tell me what it is that you see in the pattern of grommets and threads. Perhaps it was the fashionable interior design store in Hayes Valley, SF that had me in a trance. Is it supposed to be a formation of stars? 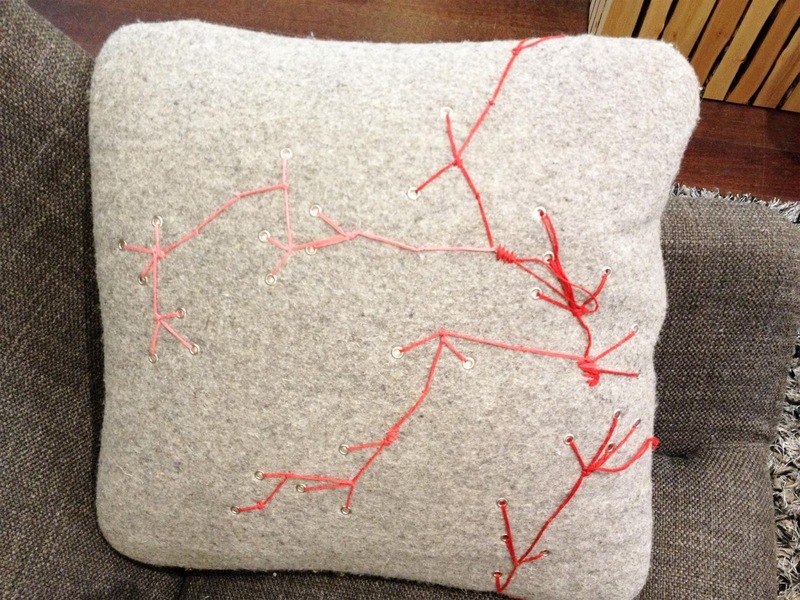 I've popped over from Colette Copeland's blog and like your cushion very much. It looks like a stone and the red stitching like veins running through it. I've joined your followers and send my best wishes to you from the UK.